Earlier this week the Yankees made a big name depth pickup by agreeing to a one-year deal with Troy Tulowitzki. Because the Blue Jays owe him $38M the next two years, the Yankees only have to pay him the $555,000 league minimum. The Blue Jays probably won’t contend in 2019, but gosh, Tulowitzki getting a big hit against the Blue Jays on Toronto’s dime would be some Grade-A trolling. Anyway, Tulowitzki is a big name and not much more at this point. Sure, we’ve all seen the “he looked great at his recent workout” stories these last few weeks, but we see those about countless players every offseason. Who’s the last player who had a bad workout? Exactly. The fact of the matter is Tulowitzki has not played in an MLB game since July 2017, and, when he did last play, he wasn’t very good. This is nothing more than a league minimum roll of the dice. 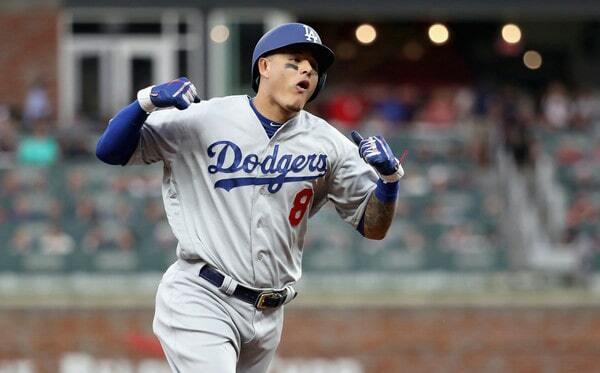 Reports indicate the Tulowitzki signing won’t stand in the way of a Manny Machado signing, and why would it? You don’t let anyone stand in the way of a Manny Machado signing, especially not a 34-year-old reclamation project who hasn’t played in 18 months. I reckon Tulowitzki won’t stand in the way of anything. If another good middle infield option comes along, the Yankees will pounce, and sort out the roster later. The more good players, the better. 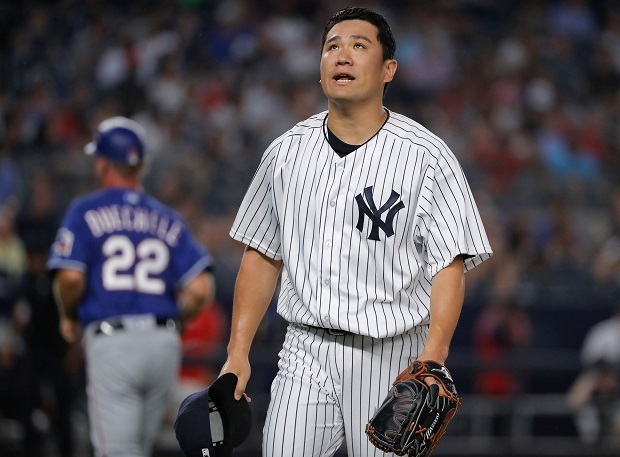 Two weeks ago I tried to dig up some under-the-radar bullpen targets using skills the Yankees value, specifically spin rate and swing-and-miss rate. The Yankees love relievers who can spin the ball and miss bats. Every team does, but the Yankees especially. In last week’s chat, commenter PJ suggested I do something similar for position players, and seeing how the Yankees are set pretty much everywhere except the middle infield, that’s the place to look. Hitting the ball hard and hitting the ball in the air are two qualities the Yankees value in their hitters. How else do you think they set a new Major League home run record in 2018? There is more to being a position player than hitting the ball hard — defense matters too, for example — but I figure hitting the ball hard in the air consistently is a good starting point for a potential under-the-radar target search. Last season 448 players received at least 100 plate appearances. Only 139 of those 448 players combined an above-average hard hit rate with a lower than average ground ball rate, and most of those 139 are the game’s best players. Aaron Judge, Mike Trout, Paul Goldschmidt, etc. Also, not many of them are middle infielders. A few are though, and some of them are available as free agents. Others could be trade targets. Here are five who caught my eye. The skinny: The Yankees have had interest in Ahmed in the past, and the D’Backs are selling, so he figures to be available. The 28-year-old does his best work in the field — he’s a stellar defensive shortstop — and last season he cranked a career high 16 homers. Not surprisingly, his hard contact rate ticked up and his ground ball rate ticked down. “I’m trying to do damage every time I go up there. I’m not trying to buy into this, really, launch angle, high fly ball, home run-or-nothing approach,” said Ahmed to Kevin Zimmerman in August. Maybe he wasn’t trying to become a launch angle guy, but that’s what he became, and as a result he had his best offensive season to date. Of course, he was still a below-average hitter overall, but a sub-.300 OBP with 16 homers is better than a sub-.300 OBP with single-digit homers. Contract status: Ahmed has two years of team control remaining and MLBTR projects a $3.1M salary in 2019. Like I said, the D’Backs are in selling mode now, so I’m certain they’re at least willing to listen to offers for their shortstop. The Yankees have had success with former Arizona shortstops, you know. Yay or nay? I’m a nay on this. I fully acknowledge that, at worst, Ahmed would play the hell out of shortstop while Didi Gregorius is sidelined, surely better than the 34-year-old Tulowitzki would. I just feel like there are comparable players available for nothing but cash in free agency. The skinny: Galvis is one of those free agents who is comparable to Ahmed. He turned 29 earlier this offseason and his 45 home runs the last three years are somehow 22nd most among middle infielders. Galvis is also a really good defensive shortstop and, for what it’s worth, he’s regarded as an excellent clubhouse dude. As a cheap stopgap, you could do worse. The Yankees have had interest in him. Contract status: Galvis is a free agent and I imagine he’s looking at a low cost one-year deal. His contract upside is probably the two-year, $8M contract the Red Sox gave Eduardo Nunez last winter. Maybe he could push a team to $10M or $12M. Maybe. Yay or nay? I think yay. I feel better about Galvis contributing on at least one side of the ball this coming season than I do Tulowitzki, and it is only money, so who cares about that. You’d have to trade prospects to get Ahmed. Galvis is available for cash. The skinny: I still contend that, among cheap stopgap options, Gyorko is the best middle infield bet for the Yankees. He’s a solid hitter — not a great hitter, but a solid hitter who gets on base and will put a mistake in the seats — and a solid defender who can play second or third, and even short in a pinch. Also, because the Padres are paying a chunk of his salary, his 2019 luxury tax hit will be $920,000. Realistically, Tulowitzki and Gyorko are the only veteran stopgaps available with six-figure luxury tax hits, and I feel much better about Gyorko being productive this coming season than I do Tulowitzki. Contract status: Like I said, Gyorko’s luxury tax hit is $920,000 for the coming season. Between his $13M salary and the $1M buyout of his $13M club option for 2020, the Yankees would owe him $9M in 2019 once you subtract out the $5M the Padres are paying him. That’s $9M in real money. The luxury tax hit is only $920,000 though. Can’t beat that. Yay or nay? I’m a hard yay. Well, it depends what the Cardinals want in return, though it seems possible they’ll be willing to unload him in a salary dump deal to free up money for other things. They don’t have a clear path to playing time for Gyorko at the moment. If they insist on a top prospect or an MLB piece, forget it. If they’ll take a second tier prospect or two, sign me up. For whatever reason Odor seems to get on people’s nerves, but step back and look at the big picture, and you’ve got a soon-to-be 25-year-old middle infielder who’s a good defender and has already shown 30-homer power. 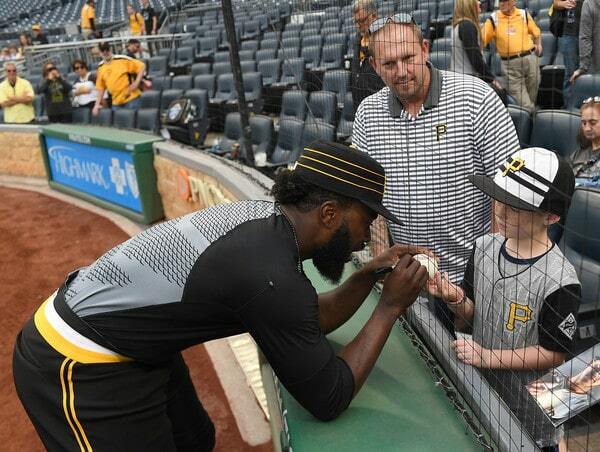 That’s an interesting little ballplayer, no? The Rangers are rebuilding too. They traded Jurickson Profar and Alex Claudio last month and Cole Hamels, Jake Diekman, and Keone Kela at the deadline. I’m sure they’re open to discussing Odor. Contract status: The Rangers signed Odor to a six-year contract worth $49.5M during Spring Training 2017. The deal carries an $8.25M luxury tax hit and will pay him $7.5M in 2019, $9M in 2020, and $12M in both 2021 and 2022. There’s also a $13.5M club option ($3M buyout) for 2023. Trade for him right now and his luxury tax hit is lower than his actual salary in three of the four guaranteed years left on the deal. Yay or nay? I think I’m a yay. Odor is probably worth a deeper look at some point, but again, he’s a soon-to-be 25-year-old middle infielder with Yankee Stadium friendly lefty power and good defensive chops. Remove the name and any preexisting biases and wouldn’t a player like that interest you? The Yankees could, in theory, trade for Odor and move forward with him and Gleyber Torres on the middle infield, and wave goodbye to Gregorius after the season. Ultimately, it depends on the price. I don’t think Texas would give Odor away and I can’t say I’m eager to trade top prospects for him either. The skinny: The No. 1 pick in the 2015 draft has thoroughly underwhelmed at the MLB level. Swanson is a .243/.314/.369 (76 wRC+) hitter in over 1,200 big league plate appearances, and, when you look at what guys like Alex Bregman (No. 2 pick in 2015), Andrew Benintendi (No. 7), and Walker Buehler (No. 24) are doing right now, it’s hard not to be disappointed. That said, we are still talking about a 24-year-old kid here, a kid with a lot of talent who’s already established himself as a comfortably above-average defensive shortstop. Swanson barely meets our “better than average hard hit and ground ball rates” criteria, but he does meet it, and it’s not difficult to dream on him even given his pedigree. Contract status: Swanson has two years and 47 days of service time, so he comes with four seasons of team control. He’ll be a pre-arbitration player in 2019 and arbitration-eligible from 2020-22. Also, Swanson has all three minor league options remaining, so he can be sent to Triple-A with ease, if necessary. That would come in handy for a “play Swanson at short until Gregorius returns, then send him down for regular at-bats if he’s still not hitting” scenario. Yay or nay? I am a definite yay here. This is Didi Gregorius and Aaron Hicks again, right? A former top prospect who’s struggling to find his way in the big leagues. Buy low on him and hope you can get him to blossom in your uniform. Sometimes it works (Didi, Hicks), sometimes it doesn’t (Dustin Ackley), but it’s worth a try. The Braves could trade Swanson to address another roster need (outfield? bullpen?) and roll with Ozzie Albies and Johan Camargo on the infield. Would they sell-low on Swanson? My guess is no, but it never hurts to ask. I’d roll the dice on a young player like this every day of the week. Several prominent free agents (Jed Lowrie, Asdrubal Cabrera) and trade candidates (Whit Merrifield, Scooter Gennett) appear on our list of hard contact/fly ball hitters, unsurprisingly, but I wanted to focus on under-the-radar types, the guys who aren’t getting a lot of buzz. The Yankees have Tulowitzki as an insurance policy now. I don’t think they’ll let him stand in the way should a better option comes along though. Calling the middle infield situation settled would be unwise. There is obviously much more to life than hard contact rates and ground ball rates. Defense matters, contact rate matters, plate discipline matters. 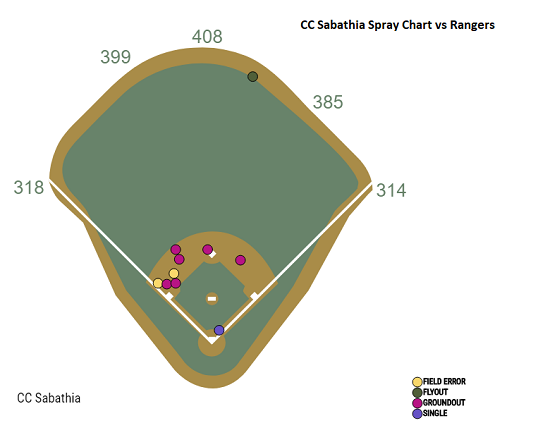 Generally speaking though, if you hit the ball hard and you can hit it in the air, the Yankees will gravitate toward you. You can’t fake exit velocity — you can fake being a .300 hitter for a week, but you can’t fake a 110 mph exit velocity — and getting the ball in the air against MLB caliber pitching isn’t easy. Guys who can do it consistently are worth considering, especially while Gregorius is sidelined. Thanksgiving weekend is over and the hot stove is starting to heat up. Earlier today the Braves signed both Brian McCann (one year, $2M) and Josh Donaldson (one year, $23M), so the defending NL East champs are makin’ moves. The Yankees still have a lot to do this offseason even after re-signing Brett Gardner and CC Sabathia, and trading for James Paxton. Here are the latest hot stove rumblings. 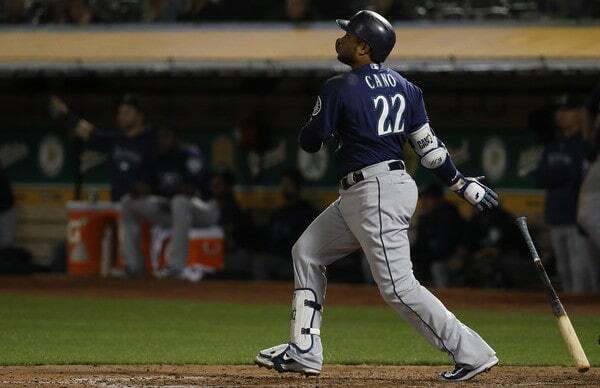 Earlier this offseason the Yankees and Mariners briefly discussed a Robinson Cano for Jacoby Ellsbury trade, reports Ken Rosenthal (subs. req’d). Talks didn’t advance much because the Yankees wanted Seattle to include “significant cash” in the trade in addition to taking Ellsbury. Cano has five years and $120M remaining on his contract. Ellsbury has two years and $47M. Rosenthal adds the Yankees are wary about having to commit their DH spot to Cano down the line. There are also two no-trade clauses to navigate (Robbie would probably okay a trade back to New York in a heartbeat). Cano, 36, hit .303/.374/.471 (136 wRC+) with ten homers in 80 games around his performance-enhancing drug suspension this year. The Yankees could stick him at second until Didi Gregorius returns, then slide him over to first base, which he played briefly in 2018. Cano is a better player than Ellsbury, there’s little doubt about that, but those last five years on his contract could be heavy decline years. The Yankees limited their offer to seven years back when Cano was a free agent because they wanted to avoid those age 38-40 seasons, remember. When we’re talking two years vs. five years in a bad contract swap, my preference is the shorter deal. Just get it over with, you know? According to Buster Olney (subs. req’d), the Yankees pushed Justus Sheffield in trade talks with the Diamondbacks about Paul Goldschmidt before sending Sheffield to the Mariners in the Paxton deal. Actually, Olney says “rival executives report” the Yankees pushed Sheffield in Goldschmidt talks, which is an important distinction. This is a secondhand rumor. Hmmm. Three weeks ago we heard the Yankees had not yet shown interest in Goldschmidt, though things could’ve easily changed since then. And, even though Goldschmidt will be a free agent next winter, it wouldn’t be unreasonable for the D’Backs to seek a Sheffield caliber prospect in return. Goldschmidt’s really good! The Yankees pushing Sheffield in talks though? That’s interesting, assuming it’s true. This would hardly be the first time the Yankees weren’t as high on a prospect internally as they let on. We can add four more teams to the Sonny Gray trade rumor mill. 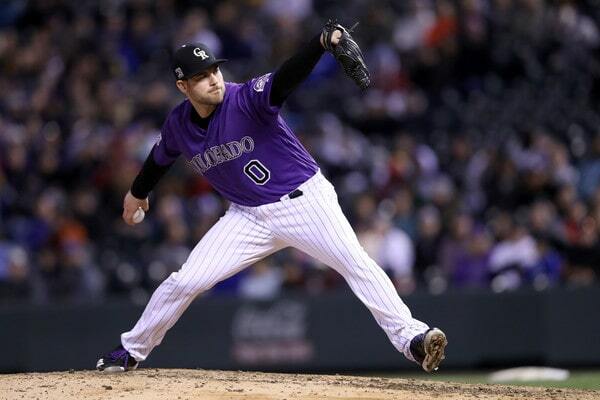 Nick Cafardo reports the Braves, Padres, Rangers, and Twins have expressed interest in Gray in recent weeks. The Athletics and Reds are in on him as well. I reckon more than those six teams are interested in Sonny. Even with only one relatively inexpensive year of control, he’s a good buy-low candidate who makes sense for contenders and rebuilders alike. The Yankees are going to trade Gray at some point, Brian Cashman has made that very clear, and my hunch is it will happen fairly soon. Likely at some point before the Winter Meetings in two weeks. Trading Gray eliminates the distraction to some degree. More than anything though, it’ll provide clarity. What do the Yankees get in return? How much money do they save, if any? Answering those questions will help shape the rest of the offseason going forward. Yankees trying to move Stanton? There are “long-shot rumblings” the Yankees are trying to move Giancarlo Stanton, reports Cafardo. That’s a weird way to phrase it. “Long-shot rumblings?” Huh. Anyway, I don’t really buy this. I’m sure the Yankees are open to moving Stanton because they’re open to moving anyyone in the right deal, but his no-trade clause complicates things, as does having to replace him. Dudes who hit 38 homers with a 127 wRC+ in a down year are hard to find. The Yankees could of course trade Stanton and replace him by signing Bryce Harper (or Manny Machado), but get outta here with that. For starters, the Yankees should be trying to add Harper (or Machado) to Stanton, not replacing one with the other. And secondly, Stanton carries a $22M luxury tax hit and Harper (or Machado) will come in around 150% of that, if not more, for similar production. If the Yankees are going to obsess over payroll, and it sure seems like they are, Stanton’s the far better value. Well, whatever. There’s no sense in dwelling on this because it probably won’t happen. Back in the Bronx for a season-high 11-game homestand — their longest since June 2005 — a home run derby erupted as the Yankees beat up on the Rangers in series opener, 7-3. Aaron Hicks kicked off the fireworks with a two-run blast in the first inning, his 20th of the season. He is the fourth Yankee to reach that milestone this season, tied with the Indians for the most 20-homer players in MLB. Hicks also is the third Yankee outfielder to hit 20 longballs this season. This is the fourth time in franchise history they’ve had three guys hit 20 homers and play at least 60 games in the outfield (yes, Stanton has played 60) in the same season. 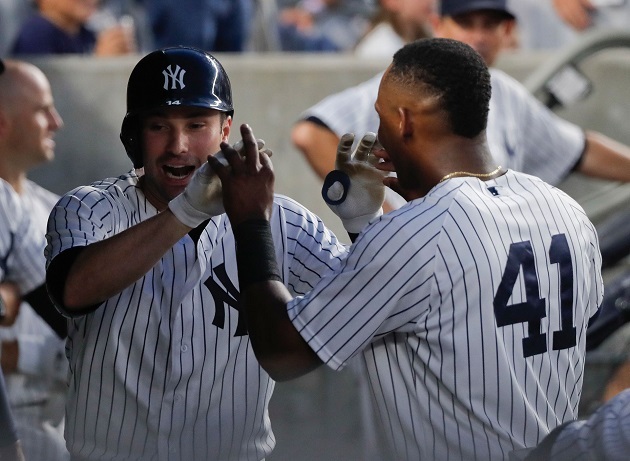 Miguel Andujar and Neil Walker launched back-to-back homers in the fourth inning, Stanton added a massive laser shot in the fifth and Walker capped the dinger party with another solo shot in the sixth. Stanton’s 449-foot missile left his bat at 121.7 mph, the fastest exit velocity of any home run measured by Statcast (since 2015), and the hardest-hit ball — out or hit — in the majors this season. Another #StatcastFunFact: through Thursday there have been 10 batted balls with an exit velocity of 119 mph or more this season … and all 10 were hit by Yankees (Sanchez and Judge each have one, Stanton has eight). For Walker, it was his sixth career multi-homer game but the first time he’s homered from both sides of the plate in the same game. Walker is the only player in franchise history to achieve the feat as a second baseman in a game. Rangers first baseman Ronald Guzman stole the highlights with his unprecedented three-homer night, becoming the first rookie ever to go deep three times against the Yankees. At the age of 23 years and 294 days old, he also was the second-youngest player to hit a trio of bombs against the Bronx Bombers, behind only Indians outfielder Pat Seerey (22 years, 118 days) on July 13, 1945. Austin Romine earns our Obscure Yankeemetric of the Series for his huge effort, going 3-for-4 with a homer and a steal(!) while driving in three runs. He is the sixth Yankee catcher with a home run, a steal and at least three RBI in a game, and the first do it since Thurman Munson on June 15, 1976 vs Twins. The other guys were Jake Gibbs (1971), Yogi Berra (1958), Bill Dickey (1938, 1932) and Eddie Phillips (1932). The Yankees pulled out an ugly 5-3 win on a rainy Saturday at the Stadium, surviving a bullpen meltdown thanks to another clutch hit by Miguel Andujar. Lance Lynn delivered a third straight solid outing in pinstripes, and the one run he allowed in the third inning is the only scoring blemish on his Yankee resume so far. Lynn is first player in franchise history to begin his Yankee career with three consecutive games of no more than one earned run allowed and at least five strikeouts. He is also the first guy to strike out at least eight batters and give up no more than one earned run each of his first two starts as a Yankee. 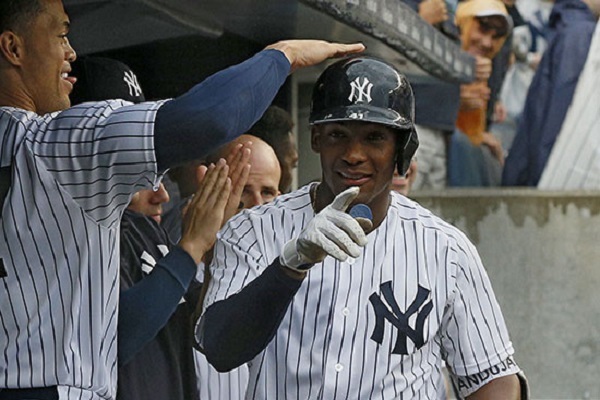 Miguel Andujar rehashed his role of clutch-hitting hero with a two-run, opposite field blast in the seventh inning that broke a 3-3 tie. It was his fourth go-ahead hit in the seventh inning or later this season, the most on the team thru Saturday. The only other Yankee rookies over the last 25 years to compile four go-ahead hits in the seventh or later are Nick Johnson (2002) and Derek Jeter (1996). Backed by a vintage gem from CC Sabathia and more bombs from the bats, the Yankees clinched the series win over the Rangers with a 7-2 win on Sunday. They still have lost just one series at home this season, April 5-8 against the Orioles. The seven-run, two-homer outburst extended a couple notable streaks. 14th straight home game scoring at least five runs, tied for the second-longest such streak in franchise history (also had 14-game streak in 1937). The only longer one is a 21-gamer by the 1938 team. Seventh straight game with multiple homers, tied for the second-longest such streak in Yankees history (also had 7-game streaks in 2014, 1986, 1955, 1937). The only longer streak is nine games during the 2009 season. 23 homers in seven games against the Rangers this season, their most home runs hit against any opponent in a season series of 10 or fewer games. Only two other Yankees as old as (or older than) the 38-year-old Sabathia have pitched a game with at least seven strikeouts and no more than one hit allowed — Randy Johnson (in 2005 and 2006) and Roger Clemens (in 2001 and 2003). 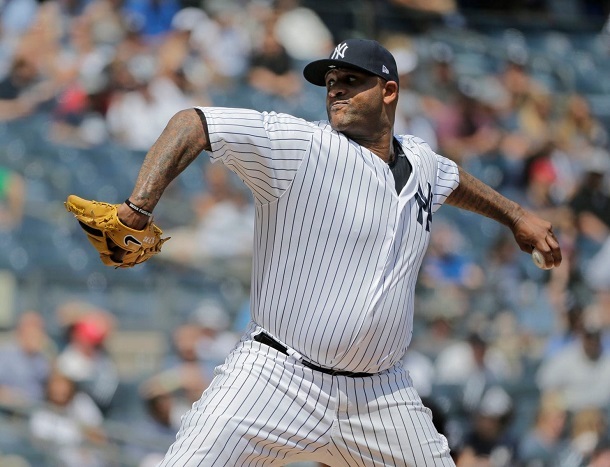 Sabathia did have to pitch around six baserunners, but did so masterfully, with six scoreless innings. He’s held batters to a .156 batting average with runners in scoring position this season, the third-lowest in the AL and seventh-lowest in MLB among qualified starters. Giancarlo Stanton lit up the scoreboard early with a bullet line drive homer in the first inning, his 30th of the season. It was also his 16th longball in a two-strike count, tied for the most in MLB this season. Looking ahead … no Yankee since 1988 (when we have official pitch count data) has finished a season with at least 20 homers and more than half of them coming in two-strike counts. Tonight kicks off an eleven game homestand, eight of which are against teams that are comfortably below .500. This is a great opportunity for the Yankees to put some distance between themselves and the A’s, which would solicit a much needed sigh of relief. Seeing them take care of business against the rebuilding White Sox was great – but they have to continue to beat-up on the bad teams. The Rangers are up first. The Yankees had won eight consecutive series heading into this match-up. Gleyber Torres homered twice off of Bartolo Colon. Why is that interesting (aside from the fact that everything Torres does is interesting)? Torres was three months old when Colon made his major league debut. Torres had a stellar series in general, going 5-for-12 with four runs scored, four home runs, and seven RBI. That’s good for a 1.878 OPS. Eleven pitchers took the mound for the Rangers in the series. 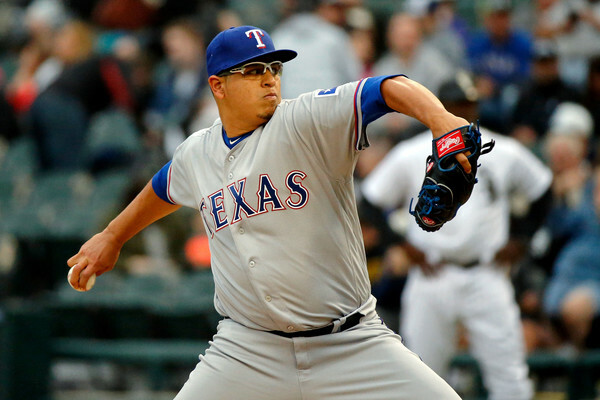 Four of them – Cole Hamels, Keone Kela, Jake Diekman, and Jesse Chavez – were traded in the days leading up to the deadline. Check out Katie’s Yankeemetrics post for more points of interest. The Rangers currently have a starter (Doug Fister), two relievers (Tony Barnette and Matt Bush), and an entire outfield (Delino DeShields, Nomar Mazara, and Ryan Rua) on the disabled list. There’s a chance that DeShields and Mazara could return during this series, but neither is a guarantee. Texas is 51-65 with a -51 run differential, and are in the midst of a rebuild. Their 25-man roster currently has 10 players that are under the age of 25, and they’re one of the youngest teams in the majors – and that’s with Adrian Beltre (39) and Bartolo Colon (45) skewing the average age quite a bit. They’ve been allowing the kids to sink or swim all season, and they’ll continue to do so for the foreseeable future. 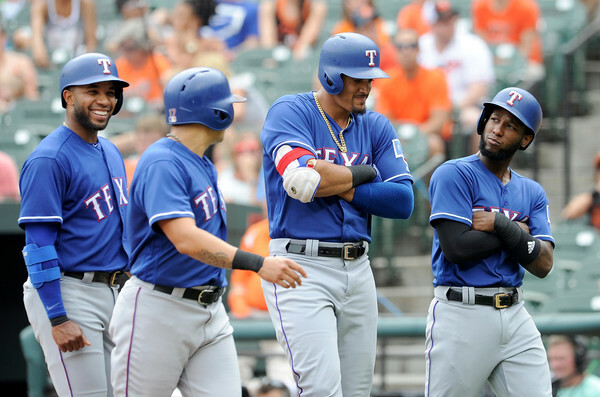 For what it’s worth, the Rangers are 9-3 in their last 12, with series victories over the Astros (a three-game sweep), Orioles, and Mariners. They’ve also been a .500-ish team since June 1, posting a 27-30 record, along with a +12 run differential. Ronald Guzman (86 OPS+) and Isiah Kiner-Falefa (93 OPS+) will both see a couple of starts, as well. The 22-year-old Jurado spent parts of three seasons in Double-A (including all of 2017), and made his big league debut back in May. It’s sort of strange that he has never pitched in Triple-A – especially when you consider that he’s thrown over 300 IP at Double-A – but here we are. He has a 4.02 ERA through three starts (15.2 IP), with great walk (7.8%) and grounder (50.0%) rates, and a complete inability to strike people out (10.9%). And that all tracks with his time in Double-A, where he posted a 14.8 K% and 5.0 BB%. Jurado is a sinker-baller through and through, as nearly three-quarters of his offerings are his heavy low-90s sinker. He also throws a low-90s four-seamer, a mid-80s slider, a mid-80s change-up, and a high-70s curve. Minor was a promising young starter with the Braves in the first-half of this decade, but multiple shoulder injuries and surgery kept him from pitching in 2015 and 2016. He came back as a reliever with the Royals last year and was excellent, pitching to a 2.55 ERA with great peripherals in 77.2 IP. The Rangers signed him to a three-year deal this off-season and stuck him back in the rotation, and the results have been less than stellar. Minor has a 4.53 ERA (4.40 FIP) in 117.1 IP, with below-average strikeout and groundball rates. He’s managed to stay healthy with the increased workload, though. Minor is a four-pitch guy, with a low-90s four-seamer, a mid-80s slider (his best offspeed pitch), a mid-80s change-up, and a low-80s curve. You may remember Hutchison for his three-plus seasons in Toronto – he made nine starts against the Yankees, and posted a 3.78 ERA in 50.0 IP. He spent all of 2017 in the minors, though, and sports a career 5.01 ERA in 442.0 IP. He was DFA’d by the Phillies earlier in the season, picked up by the Dodgers, and opted out of his contract with them on August 1. He was picked up by the Rangers shortly thereafter, and has made one disastrous start so far. Hutchison is a three-pitch pitcher, utilizing a low-90s four-seamer, a mid-80s slider, and a mid-80s change-up. He used to throw a sinker, as well, but he’s rarely using it nowadays. Perez was a legitimate top prospect half a dozen years ago, but injuries and inconsistency have kept him from reaching his ceiling. He’s still only 27, so there’s still time – but he also has a 4.56 ERA (4.41 FIP) in 728.2 IP, and has struggled mightily in 2018 (6.15 ERA/6.04 FIP). Do you remember when prospect folk used to debate Manny Banuelos vs. Martin Perez? Because I do. Perez is a sinkerballer, with more than half of his pitches being his low-90s sinker. He also mixes in a low-90s four-seamer, a mid-80s change-up, a mid-80s slider, and a big, high-70s curve. The Rangers dealt their closer (the aforementioned Kela) to the Pirates at the deadline, and former closer Matt Bush is on the DL. Jose Leclerc (2.16 ERA, 35.2 K%) has taken over as the closer, and he’s been quite good all season. It’s a little bit of a mess behind him, though, as the team works around injuries and trades to sort out the middle innings. Alex Claudio (5.10 ERA) and Chris Martin (4.00 ERA) are usually in the mix. Adrian Beltre is one of my favorite players, and he’s worth watching wherever he is, be it the field, the bench, or the batter’s box. I’m also intrigued by the resurgent Rougned Odor, who is walking in 8.4% of his PA, against a previous career-best of 4.9%. In a general sense, though, I’m just looking for the Yankees to continue to take care of business.